Bright lights, blackjack tables, glitz and glamour – it’s no wonder larger-than-life Las Vegas is a favourite location for filmmakers. 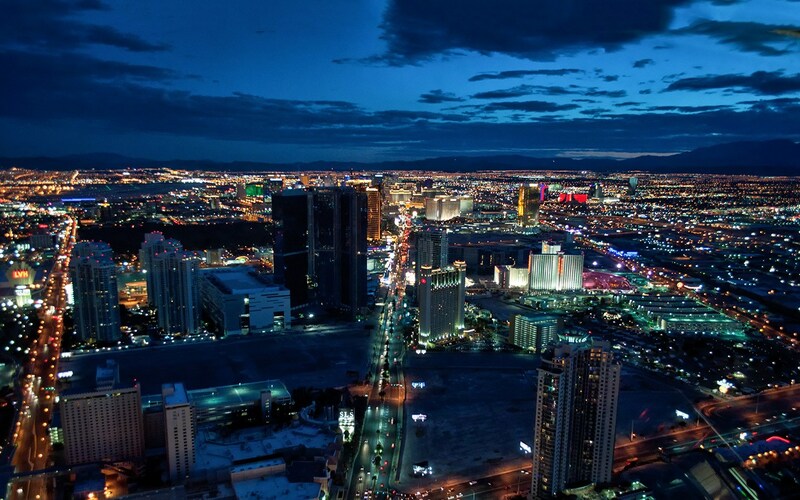 Over 100 movies have featured Sin City’s over-the-top casinos and iconic Strip views. Some of the filming locations have been and gone, and others only ever existed on a Hollywood sound stage. 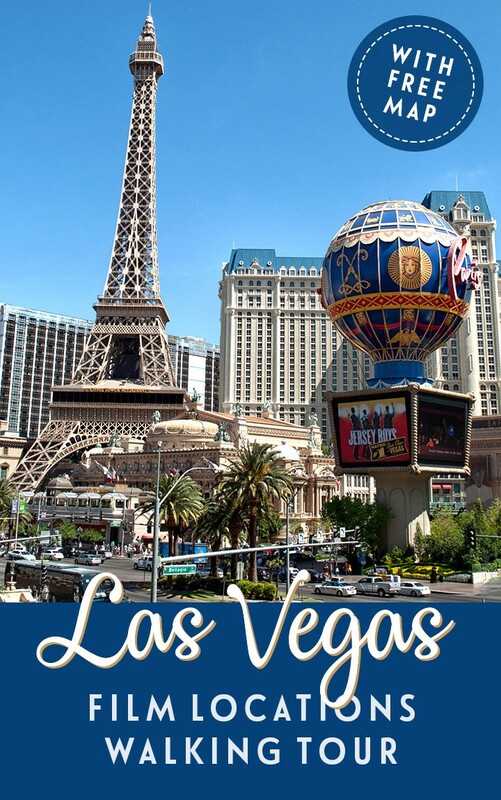 But there are still plenty of spots around the Strip and downtown where you can see where scenes from movies old and new were filmed, from Viva Las Vegas to Fear and Loathing in Las Vegas, and Ocean’s 11 to – er – Ocean’s Eleven. So join me and follow in the footsteps of Dean Martin, Elvis and George Clooney on this Las Vegas film locations walking tour. The whole walk covers almost five miles (with a bus/taxi shortcut) but a word of warning: Las Vegas can get incredibly hot, so make sure you’ve got a bottle of water and a hat on you, and avoid the middle of the day in the summer. Start your Las Vegas film locations walking tour towards the south of the Strip at the Tropicana. It’s one of Las Vegas’ original 1950s casinos, and although it’s had a few facelifts since then it’s still kept a touch of vintage style, including the 1957 red Chevy parked out front. 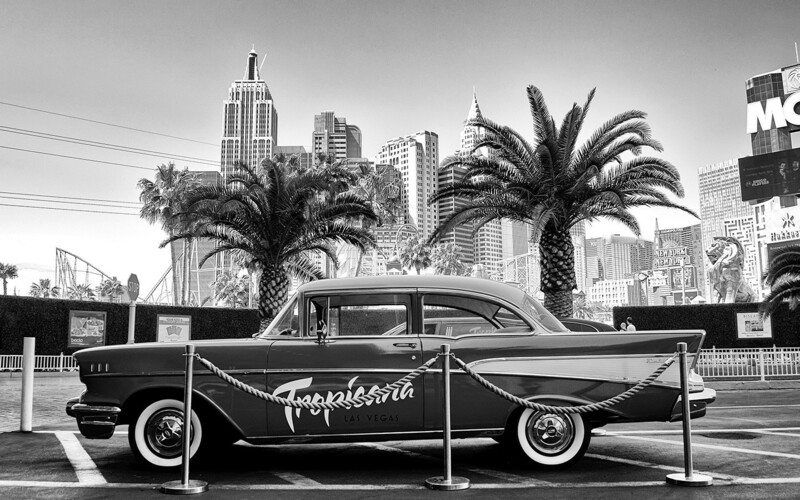 The Tropicana has had links to the Mob both on-screen and off during its history, and it features as Michael Corleone’s casino in the first Godfather film (though it was renamed the Tropigala to avoid any legal issues – not that its stage name was too hard to guess!). The casino was also home to the French-inspired Folies Bergère show for almost 50 years, whose scantily clad showgirls feature in Elvis’ Viva Las Vegas and the 1971 Bond film Diamonds are Forever. From the Tropicana, follow the Strip north for a mile until you reach the Bellagio. 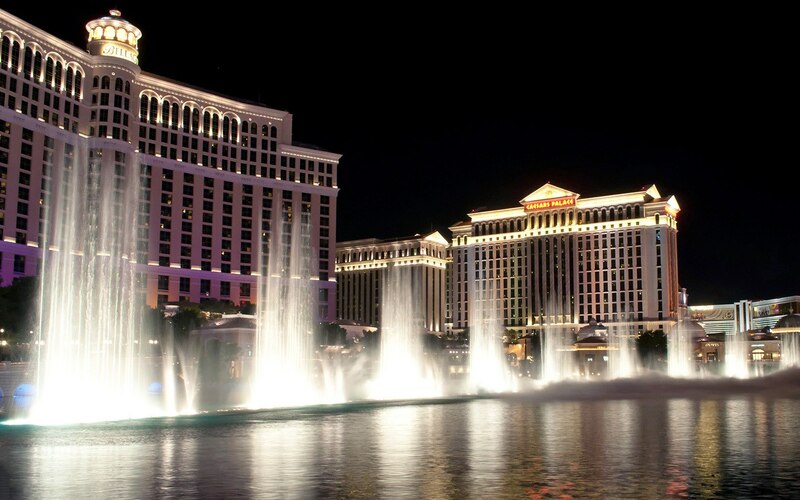 The Bellagio plays a big role in the 2001 remake (and its sequels) of the 1960s Frank Sinatra Brat Pack movie Ocean’s 11. 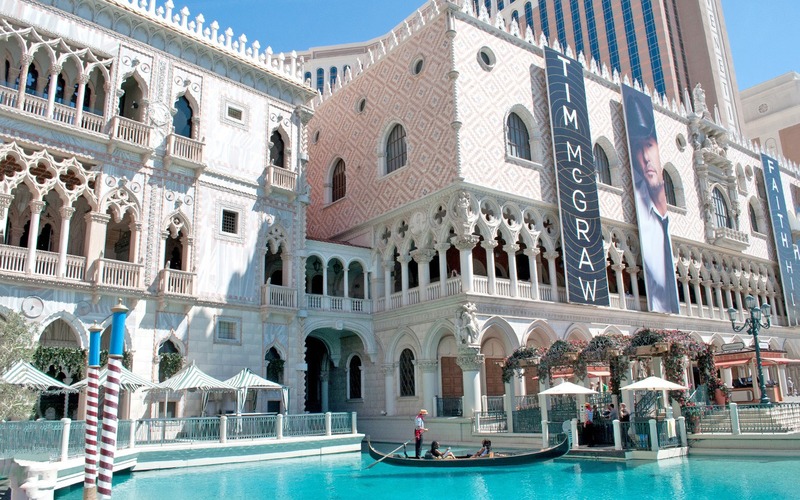 Ocean’s Eleven producer Jerry Weintraub and Bellagio owner Steve Wynn were friends so the production team got a 24-hour, all-areas pass to film there for five weeks. Among the locations featured in the film are the casino floor, botanical gardens, art gallery, Picasso restaurant and the lobby with its Dale Chihuly glass ceiling. 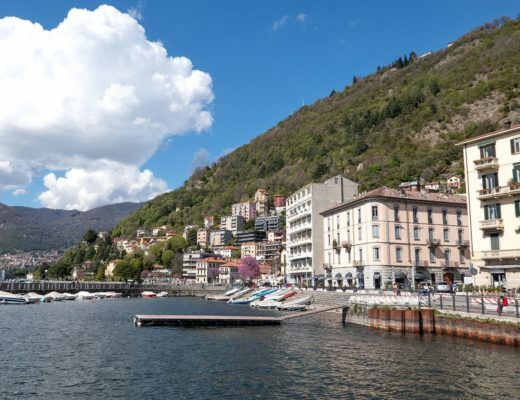 But the most famous scene was shot by the lake at the front of the casino, where the gang gather at the end of the film to watch the fountains choreographed to music. You can see the sound and light show every 30 minutes in the afternoons and every 15 minutes between 8pm and midnight. Next cross over West Flamingo Road to the Bellagio’s neighbour, Caesars Palace (0.2 miles). 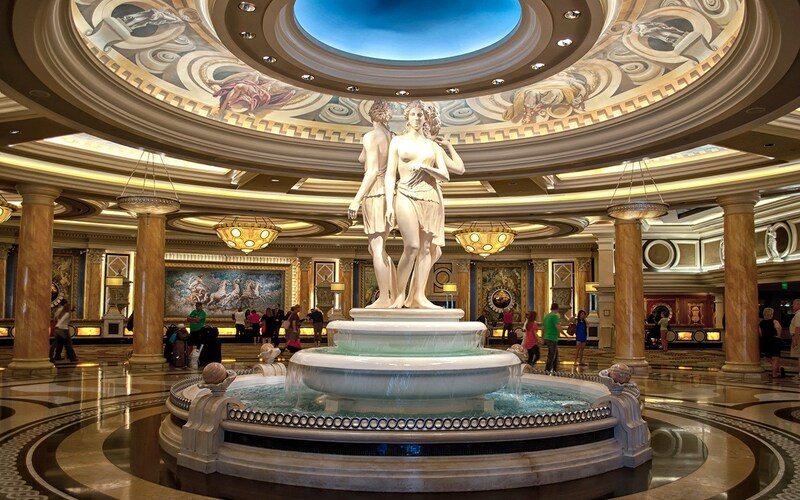 Caesars Palace opened in the 1960s and took design inspiration from the Roman Empire, with a giant statue of Julius Caesar in the entrance and décor dripping with statues, mosaics, fountains and marble. On screen it most famously featured in The Hangover (and the film’s follow-up Part III) as the hotel where the guys stay during their drama-filled stag weekend. Caesars Palace’s entrance, lobby, check in desk and the Garden of the Gods pool are all used in the film. But although their swanky room is based on the hotel’s Emperors Suite, in reality it was recreated in a Hollywood studio (I guess Caesars didn’t fancy hosting that tiger). The real Emperors Suite does feature in Rain Man though, as where the brothers spend the night after a big blackjack win, and it’s still nicknamed the Rain Man Suite. Caesars Palace is a bit of a film favourite, and you can also see it in Iron Man, Intolerable Cruelty and Dreamgirls. Leave Ancient Rome behind and travel to Venice as you carry on walking up the Strip to the Venetian (0.6 miles). It includes replicas of famous Venetian landmarks like the Piazza San Marco, St Mark’s Campanile, Doge’s Palace and Rialto Bridge along with its own gondoliers. It sits on the site of the old Sands casino, which was a major filming locations for the original Ocean’s 11. The Venetian itself features in the 2001 comedy Rat Race, which starred John Cleese and Rowan Atkinson, where the casino’s eccentric owner devises a competition where teams have to race from Vegas to Silver City, New Mexico to win $2 million dollars. One of the hotel’s suites is also used in the Sandra Bullock film Miss Congeniality 2: Armed and Fabulous. Carry on north along the Strip until you reach Circus Circus (1.3 miles). 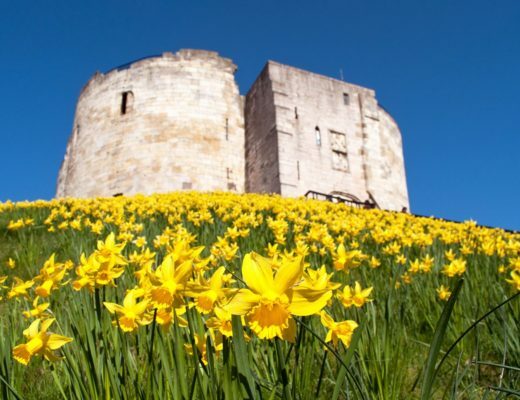 It’s home to the largest big top in the world and you can see all the classic circus acts like clowns, jugglers, trapeze artists and tightrope walkers in their free shows (every hour from 11.30am). 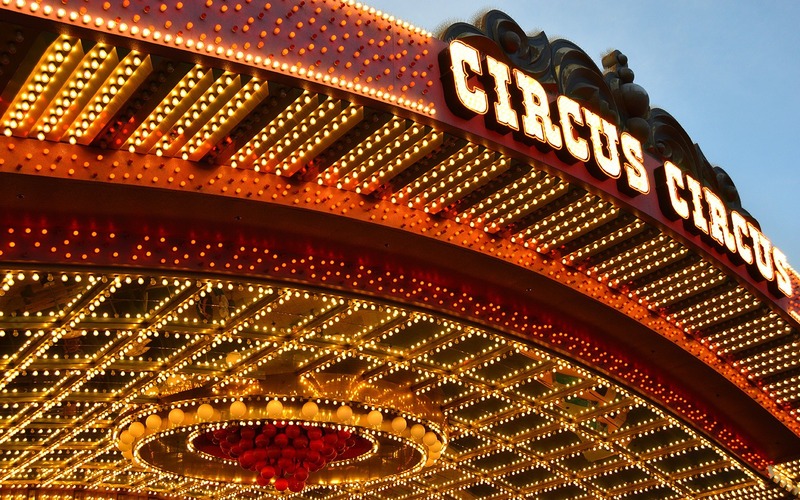 Although Circus Circus gets a mention in Hunter S. Thompson’s book Fear and Loathing in Las Vegas, when it came to making the movie version the casino owners refused permission to film there. So the producers created their own version of Circus Circus’ merry-go-round bar (the real one’s sadly no longer there). The real Circus Circus is seen on screen in two very different spy films – Diamonds are Forever and Austin Powers: International Man of Mystery. The next hop is a bit longer, so you might want to either catch the Deuce bus or take a taxi downtown to Graceland Wedding Chapel (2.2 miles). The chapel opened in 1947 has been used for many celebrity weddings. Elvis visited in the 1960s and gave them permission to use the Graceland name, and it was the first place you could get married by an Elvis impersonator. 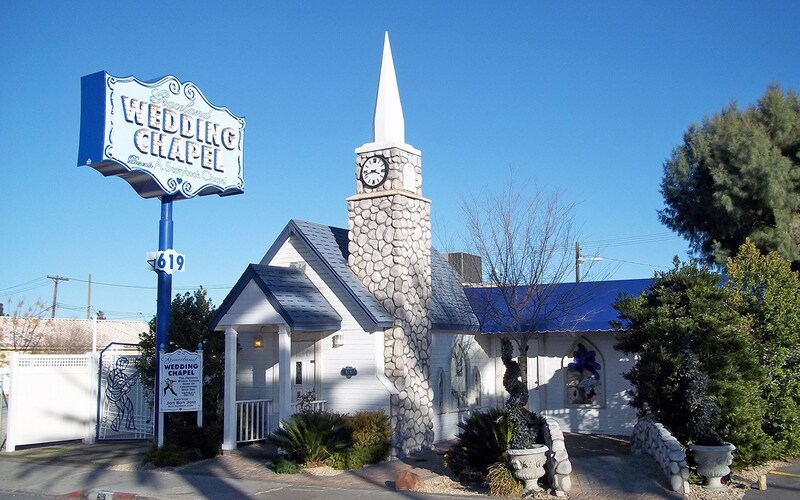 On screen, the Graceland Wedding Chapel is where Matthew Perry and Salma Hayek get married in the 1990s rom-com Fools Rush In, and it also features in the film version of Fear and Loathing in Las Vegas. If you fancy trying it out for yourself while you’re in Vegas, then their wedding and vow renewal packages start from $199 (and Elvis is optional!). 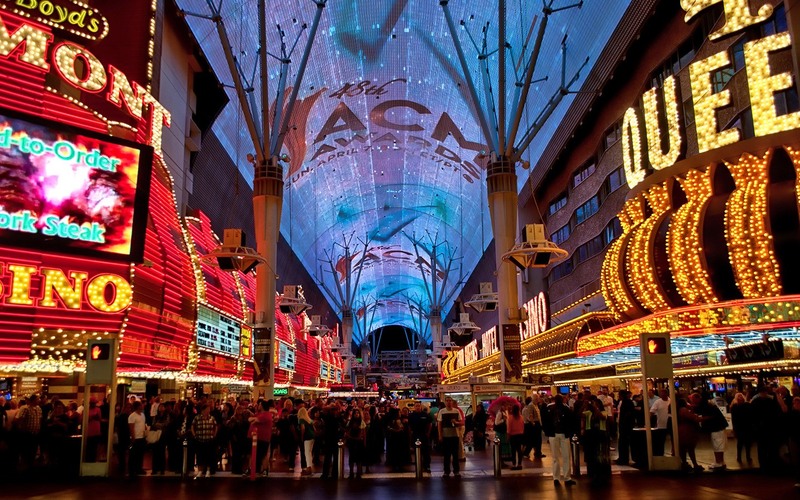 Walk up South 6th Street and then turn right along Fremont Street – home to nightly sound and light shows at the Fremont Street Experience – until you reach Atomic Liquors (0.8 miles). Atomic Liquors is the oldest freestanding bar in Las Vegas. It opened in 1945 and gets its name from the days when drinkers would climb onto the roof with a drink in hand to watch explosions from the nuclear test site 50 miles down the road (that and the atomic-strength cocktails). The bar is another location from the first Hangover film as well as featuring in Casino. 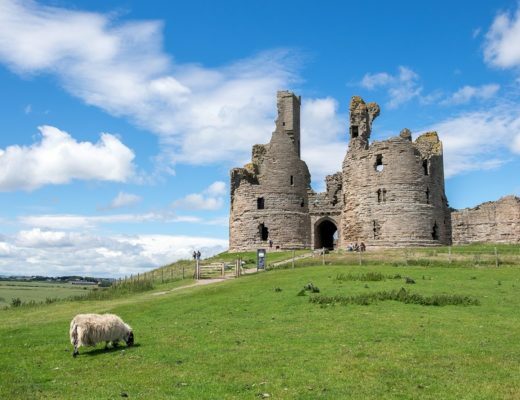 It’s been restored to its former glory and you can almost imagine one of its former regulars like Barbra Streisand or Sammy Davis Jr might be about to pull up a stool next to you. Finally take North 9th Street under the expressway and out to the Neon Museum (0.9 miles) – it’s not the smartest neighbourhood, so if you’re on your own or at night you might want to take a taxi instead. 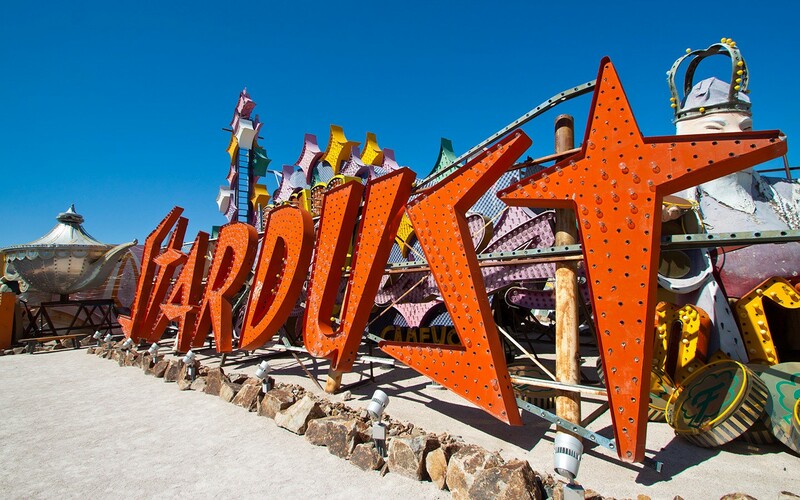 The Neon Boneyard and Museum is where signs from classic casinos like the Golden Nugget and Stardust come to spend their retirement. There are over 150 signs – and a few giant fibreglass models – which date back to the 1930s and tell the story of the city. The original boneyard location (which was known as the Young Electric Sign Co then) is where Danny DeVito’s character comes to a sticky end in the sci-fi comedy Mars Attacks! 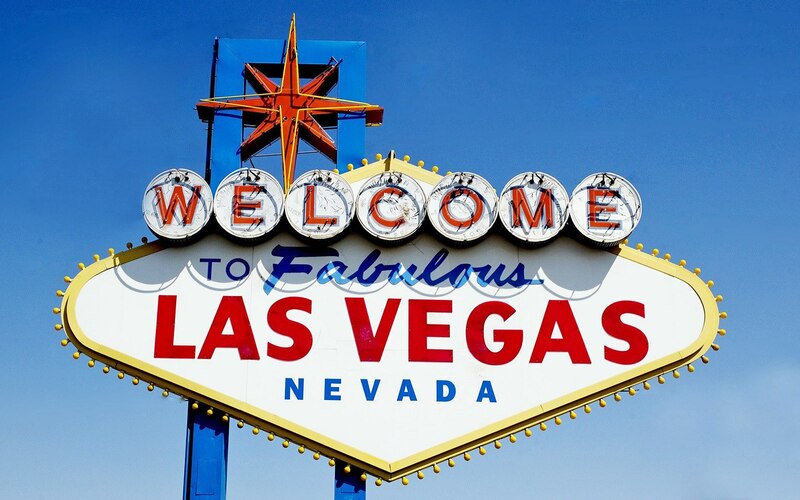 Since then the signs have been relocated to a new site which was used in the 2013 Michael Douglas film Last Vegas as well as lots of music videos. Even the museum entrance is recycled – it was the lobby of the old La Concha Motel which had its own taste of film stardom in Casino. Do you have a favourite Las Vegas film or a location I should check out next time? 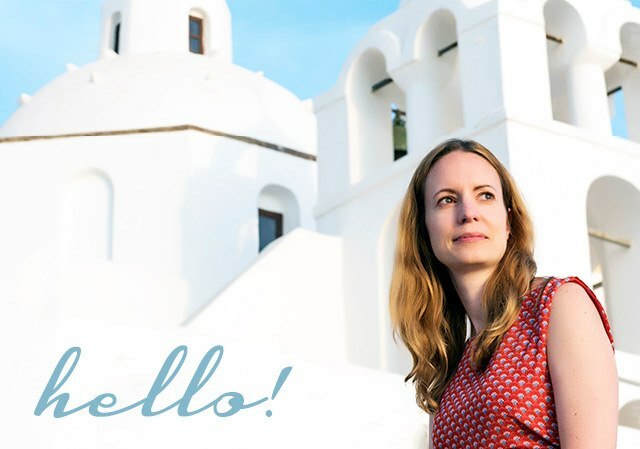 This post is brought to you in association with Travel Planners. I honestly love Las Vegas so much. 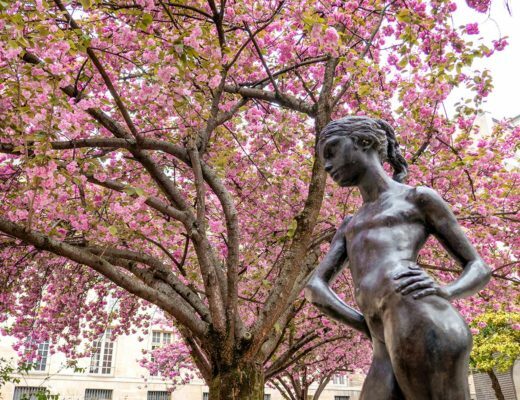 There is so so much to do and it has a unique buzz. 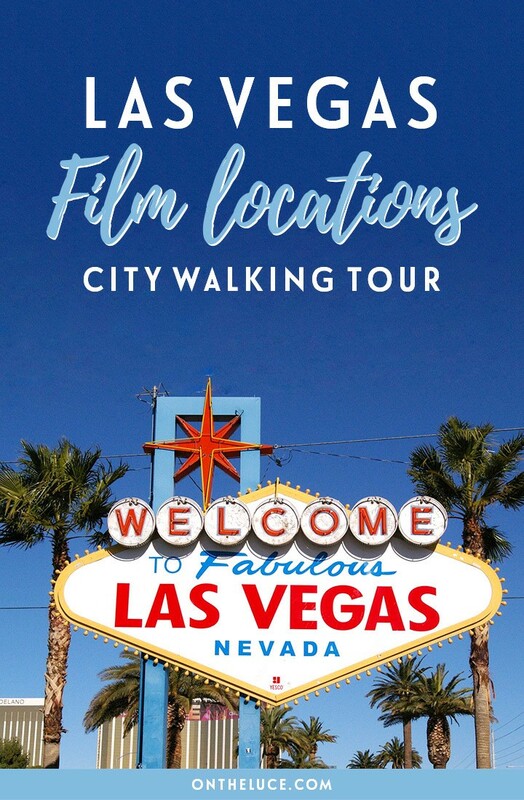 This is such a brilliant idea – I love walking tours, and I love movie location tours and off the top of my head I can think of soooo many films set in Vegas. I would totally do this next time I go to Nevada, and I’m going to Pin it to remind me too. There are so many films set in Vegas – lots I’d forgotten about too until I was researching this! This does sound a bizarrely fun tour. While Vegas isn’t top of my list of places to visit, I would love to go there one day just to enjoy the madness for a little while. 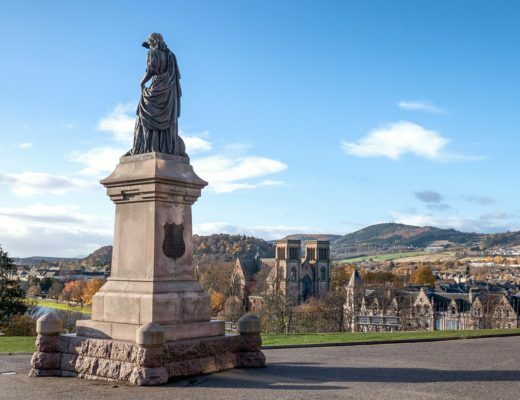 This walking tour would be the perfect introduction! 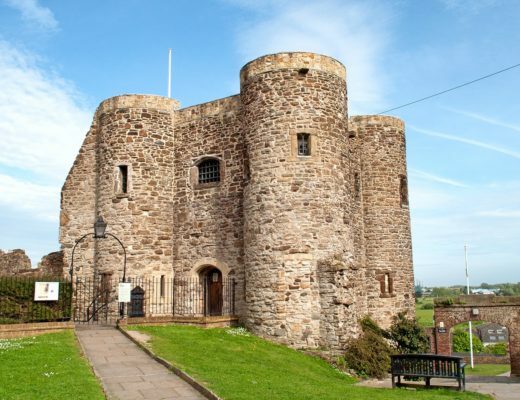 It is such an unusual place – I wasn’t sure whether I’d enjoy it but it’s great fun! I was just in Vegas for a friends bachelor party. Although it wasn’t exactly like the hangover, it was close. I love that movie and I love Vegas. I stayed at circus circus because I’m cheap. I won’t make that mistake again. My husband stayed at Circus Circus years back and said the same! The Entire Hotel smells like the first job i ever had. At the city dump. Loved reading this. We’ve been a couple of times. We often say ooh that looks like … when watching tv now. Maybe we should research CSI. I used to be such a CSI addict! There’s a lot of Vegas locations you’ll recognise if you give it a watch for sure.